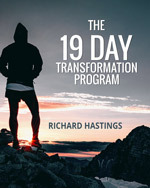 There is a huge secret to all transformation work which I have yet to find in the literature. Behind every negative emotion like anger, envy, grief, shame, or guilt is another feeling. It is always the fear of being excluded in one form or another. It turns out that the most importance competency for human beings is closeness to others, i.e. love. It makes a great deal of logical sense if you realize that the first goal of life for a newborn is attachment to his/her mother. It also turns out that the cultures leading the way in the area of psychology, the western cultures, are the worst in this process so it should be no surprise that the literature hasn’t yet identified exclusion as the underlying mother of all of fears. The worst feelings are those of separation while the greatest are those with closeness to others. Most young people will do whatever they can to avoid the feelings of separation from their peers because we all need to be close to others. We are hardwired to be intimate friends. There is no situation in life, none whatsoever, where intimacy is not the primary goal. If closeness is not your primary goal of life, then you are out of touch with your own reality which is tantamount to committing spiritual suicide. In the Baha’i Writings it says that the purpose of life is to be even like one soul in many bodies. That is pretty close. So how does guilt come in? Guilt is the negative emotion that you feel when you are not living up to a certain standard. There is such a thing as positive guilt like in the fear of God, which is what tyrants or abusers or most CEOs don’t have, but for the most part, guilt is something we all need to say goodbye to. The problem is that we feel bad about not living up to a standard that someone else has set, it is usually unconscious, and the standard is based upon self interest for those setting it, usually the leader at the top. The only reason we remain loyal to the guilt and why tyrants have such an advantage over us is that we are so completely fearful of being excluded. Most of today’s leaders are not fearful of excluding you because they are so out of touch with reality that firing or layoffs make them feel powerful. When you work with guilt, first go to how you are fearful of being excluded and then everything else will make a great deal of sense. Ok, some examples. You want to go out and play some tennis, but you just feel like you have to stay in the office and do another report that someone is demanding of you. If you use a lot of guilt as a motivator, you will stay in the office because you will be thinking that you have to impress the boss so that you won’t be excluded(fired). If you don’t have guilt, you will go for tennis, because people that don’t have guilt work a lot faster and more efficiently and have a healthy attitude toward responsibility so for them, there is plenty of time for work and plenty of time for play. All negative emotions waste time because they are stressors in your body that keep you from working more efficiently and effectively. When you don’t have guilt, you are free to be responsible and playful at the same time. Guilt will make you tense, which will make you procrastinate, which will make you stay in the office much longer than you need to, but the real reason you stay in the office is fear of exclusion. Jewish mother guilt: Well, I don’t think that Jewish mothers have the whole market on guilt, but they certainly have perfected it to a fine art. The “Jewish mother” thing is about getting their children to do the things that will keep the family from being excluded. Jews have a long history of exclusion. Instead of connecting children to their hearts and letting them live out of that energy, they want their children in positions in society where they are the least likely to be excluded,e.g. my son the doctor, my son the lawyer. The problem with overcoming a Jewish mother is that she is relentless. Her methodology is repetition so that is what the children believe. To relieve the Jewish guilt you can simply fall in love with what is in your own heart to do, include yourself in your own true life. The best way to start this journey is by taking more art classes because the arts are the key area that open your heart. 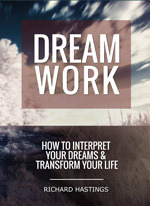 Then you need messages of love to your heart constantly that are positive and nurturing and validating of your talents. I love the inclusion of the arts here.